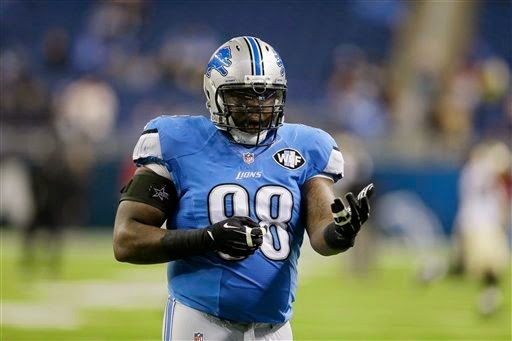 ALLEN PARK — Nick Fairley returned to Lions' practice on New Year’s Day. It was his first practice since he injured his knee in the first half of the Lions win over Atlanta in London on Oct. 26. This does not necessarily mean he will play on Sunday in the wild-card game at Dallas, but now there is at least a possibility. All along Jim Caldwell has been saying that Fairley was improving. But on Monday, Caldwell said “it’d be a miracle” if Fairley could play on Sunday. The Lions defensive tackle did not have surgery on his knee, but instead took the approach of resting it. A few weeks ago he seemed upbeat about the course of his recovery. Fairley becomes a free agent after the season. This is the season for miracles.